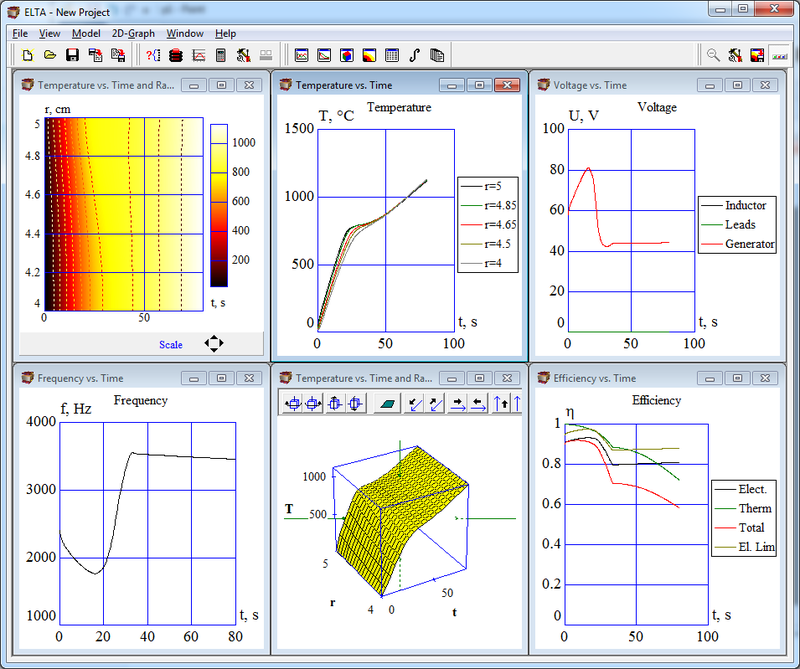 "Made by induction people for induction people"
ELTA 7.0 can simulate the majority of basic induction systems: cylindrical or plane, magnetic or non-magnetic, solid or hollow, even with multi-layered load with arbitrary properties and initial temperatures of the layers’ materials. Last version of ELTA has an additional options of 2D simulation of bodies with rectangular cross-sections (slabs, rods, strips), additional Gear Application for 2D simulation of external gear, additional Application – Transverse Flux Induction Heating for 2D simulation of bodies with rectangular cross-sections (thin strips). 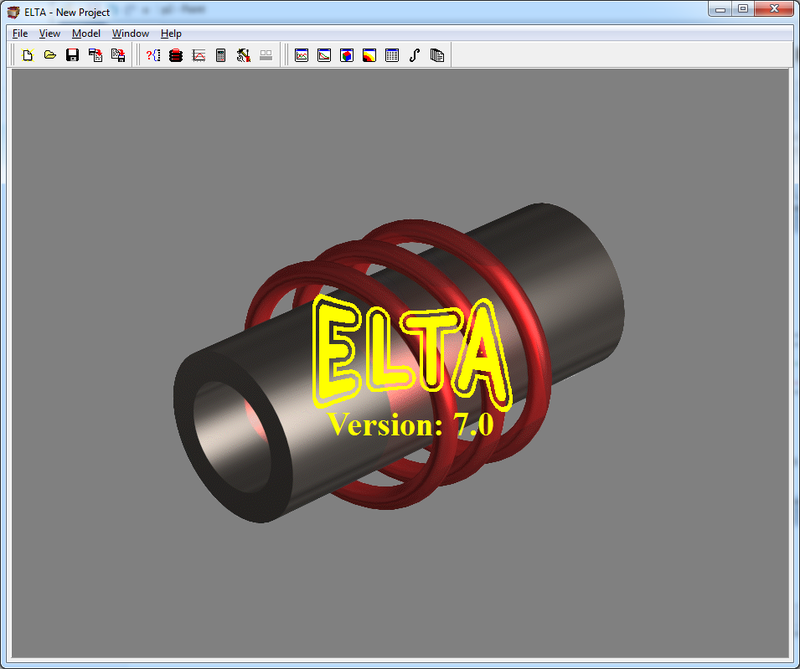 ELTA 7.0 is based on a special 1D Finite Difference Method for the load with cylindrical cross-section, 2D Finite Difference Method for solution of coupled EM and Thermal problems for the load with rectangular or square cross-section, gear and thin strip in combination with analytical “Total Flux Method” to count for a finite length of the coil and workpiece in cylindrical, plane-parallel systems and system for heating and cooling of external gear. Total Flux method is based on composing a magnetic substitution circuit for a system “inductor – workpiece”; it gives good practical results in simulation of 2D and 3D systems of simple geometry. In some cases even 3D systems such as heating of slabs in rectangular or oval inductors, gears in cylindrical inductors and thin strips in transfer flux inductors can be simulated with good accuracy. Recommended configuration is an IBM PC with Pentium-IV or higher processor, 1024 MB RAM or more, SVGA graphics monitor, and a color printer if report printing is required. For more information about ELTA contact NSG.